Tony Labrusca talks about how he got started in gymnastics while growing up abroad. 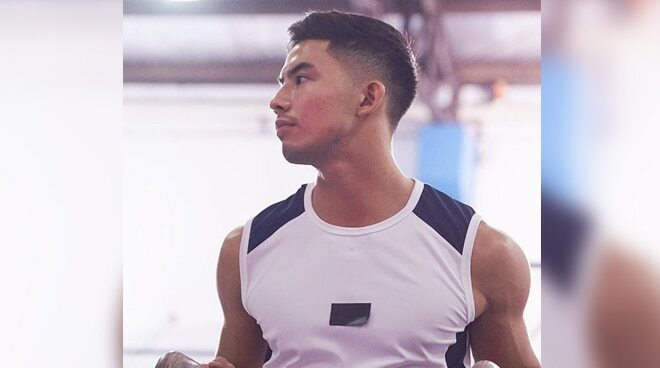 As part of this year’s Cinema One Originals entry Double Twisting Double Back where he plays the role of an ambitious male gymnast diagnosed with Dissociative Identity Disorder, Tony Labrusca returns to a sport he first started getting into as a teenager. “I started when I was 15 and I was homeschooled. I had nothing better to do with all my free time so I joined gymnastics. I stopped when we moved to Canada. I didn’t find it fun anymore. I’m into running races now,” he told PUSH. Even though the role of Badger the gymnast seems tailor fit for him, Tony said he has never taken the project for granted. “I didn’t read the script but it was described to me and I thought it was crazy. I didn’t audition, but I wasn’t the only option. It was nerve wracking experience for me but at the same time it was great working with such a good actor like my co-star Joem Bascon who plays his two-faced best friend in the film,” he said. Tony said that just like his character, he has also experienced being disappointed by people who he initially thought true friends. “Yeah, people lie and cheat each other all the time. I don’t think that’s new these days. I related to my character by his pure heart. Everyone sins, but it’s precious when there are those who have kept some of their innocence,” he shared. Directed by Joseph Abello, Double Twisting Double Back is the first Pinoy film in history to feature the world of male gymnastics and is part of the 2018 Cinema One Originals Film Festival which will run from October 12 to 21 in select cinemas.